United Nations : UN Secretary-General Antonio Guterres on Wednesday expressed concern over the “growing risks of a humanitarian catastrophe” in the event of a full-scale military operation in the northern Idlib province of Syria. Guterres’ statement on Wednesday followed the briefing a day before by the director of operations for UN humanitarian affairs John Ging to the Security Council. Ging warned such a government offensive in Idlib “has the potential to create a humanitarian emergency at a scale not yet seen” in the seven-year civil war, Xinhua news agency reported. Speaking through his spokesperson Stephane Dujarric, Guterres reaffirmed that any use of chemical weapons is totally unacceptable, in an apparent response to allegations that emerged recently of possible staging of chemical attacks in the province. The United States, Britain and France have warned that they will respond “appropriately” to any chemical weapons attack in Idlib, a warning repeated at the Security Council on Tuesday by the three countries. Russia, for its part, said Syrian rebels are preparing a chemical attack, which Moscow said the West would use to justify a strike against the Syrian forces. Guterres called on the guarantors of the Astana process, namely Russia, Iran and Turkey, to step up efforts to find a peaceful solution to the situation in Idlib, the last remaining de-escalation zone, one of the four that the process helped to create. Complementary to the Geneva talks, the Astana process kicked off in early 2017 with a meeting providing for indirect talks between the Syrian government and rebel factions in the neutral Kazakh capital. In tandem with the Geneva talks, the process aims to achieve a peaceful and stable solution to the conflict in Syria. Concluding his statement, Guterres urged all parties to take all necessary measures to safeguard civilian lives, allow freedom of movement, and protect civilian infrastructure, including medical and educational facilities, in accordance with international humanitarian law and human rights law. 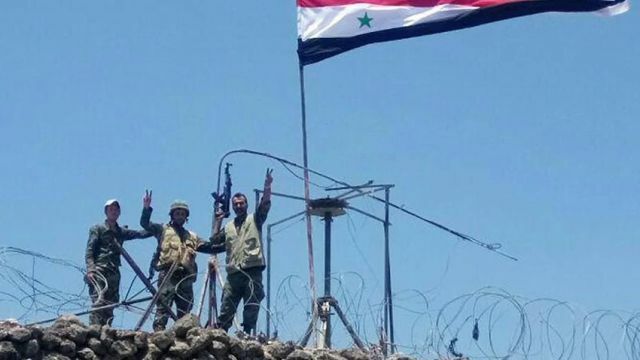 Reports have said the Syrian government is gearing up for an offensive in Idlib province, which is home to nearly 3 million people and has a large al-Qaida presence in addition to Syrian rebel groups.